You are currently browsing the tag archive for the ‘tree preservation’ tag. Here is an interesting fact to be held in the back of your mind for the time when the question comes up in Trivial Pursuit – Apparently Oak trees do not produce acorns until they are 50-years old. I went to visit Enmore Park after hearing that 31 trees had been chopped down for the construction of the new Annette Kellerman Aquatic Centre. Not being familiar with this park, I am not aware which trees were chopped down, but the ones which are staying are those I noticed before I heard about the tree loss. I am pleased to say that all the particularly old trees in the corner near the pool are still standing & it is obvious these trees are not to be targeted for removal. 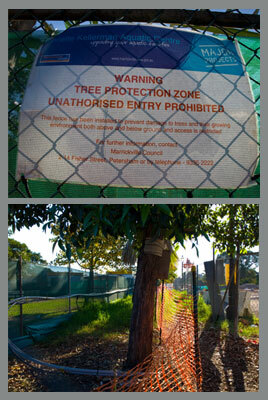 Marrickville Council has fenced off trees within the construction area to protect the trees & their roots from damage & have large signs alerting builders to mind the trees. 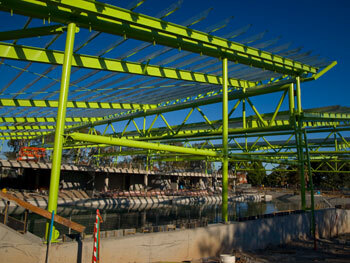 The Aquatic Centre itself is going to be amazing. No doubt about this in my mind. It’s huge, modern & the design looks exciting even though development has a while to go. I think this new pool complex is going to be a boon to the community. The community tree preservation group Save Our Figs (SoF) based in Newcastle NSW has an acute issue that is about to be decided upon by Newcastle City Council. 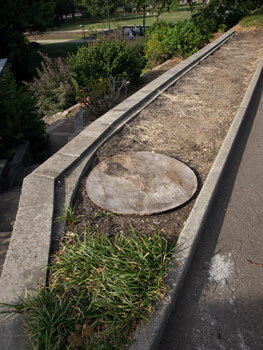 The Council wants to remove 13 eighty year old Hill’s Figs that line Laman Street & top Civic Park. 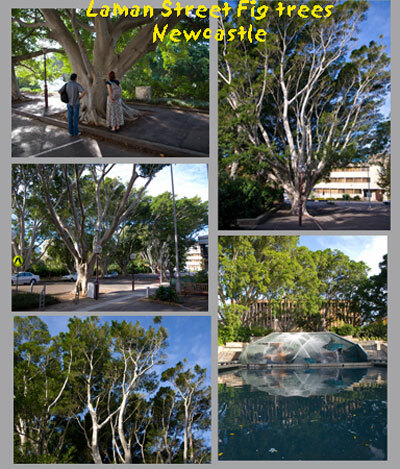 SoF has been lobbying Newcastle Council to search for other options rather than chop down these phenomenally beautiful Fig trees & replace them with trees that Newcastle Council have not nominated as yet. 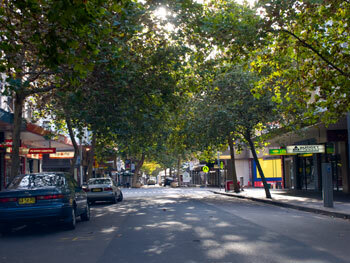 From the SoF petition – Laman Street is Newcastle’s most beautiful street. Newcastle City Council believes the 13 figs in the street are likely to fall down in the next 5 – 15 years. They have based this on the advice of a single arborist. The council is considering no other option than felling the trees & we believe alternatives need to be examined such as closing the street to vehicles &/or pedestrians or closing the street in storms. As it is a non-residential & non-commercial street the chance of injury by a falling tree is remote & the trees are an integral part of Newcastle’s identity. We don’t have a comparable tree site in Marrickville LGA. Newcastle has many Fig trees, but the Laman Street avenue of Fig trees, being in the centre of town, are truly memorable because they are particularly beautiful trees. Naturally, when a Council wants to remove trees like these that have so much history behind them, the community is going to be upset. I doubt there would be many people in Newcastle who don’t know the Laman Street Fig trees & most hold them dear to their heart. I have been in regular contact with Caitlin Raschke who runs Save Our Figs since the campaign started. Over Easter, we visited & went to look at the Fig trees in Laman Street. I hadn’t seen them in 23 years, which was the last time I went to this street as part of my employment at that time. I remember how stunned I was when the taxi dropped me off & I looked up at these fantastic trees. They haven’t changed & the feeling you get when you stand in Laman Street had just as much impact this time as it did all those years ago. The only thing that had changed was Civic Park, which to my mind, had deteriorated significantly. Apart from the fantastic fountain, much of Civic Park seems uncared for, particularly the memorial grove for fallen soldiers & there seemed to be less trees than I remember. I also saw Tyrell Street, which lost a few Hill’s Figs during a major storm a few years ago. 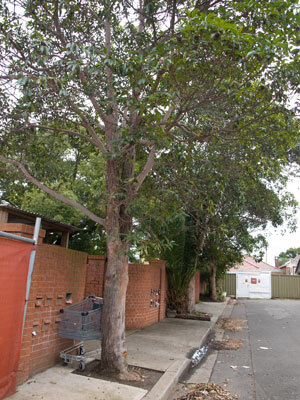 Newcastle Council removed a number of Figs along this street & replaced them with Tuckaroos. To me, the result looks like a scar. 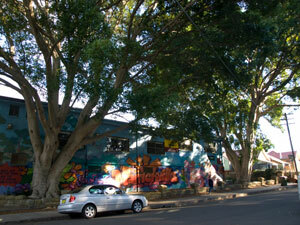 It is heartbreaking to think that the Laman Street Hill’s Fig trees will be chopped down. I am in total agreement with Caitlin when she says everything possible should be done to save these iconic trees. In Europe & especially America this would happen as a norm. All sorts of options would be canvassed & money would be spent to save & care for trees like these which give so much back to the community in terms of air quality, carbon sequestration, pollution removal, beauty, history & homes & food for wildlife, including bats. Just last night I was reading how Fig trees can be stabilized & the risk of them falling can be dramatically reduced by using peat-filled pipes. 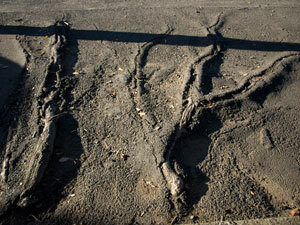 These days some Councils chop off the roots that grow from the branches of Fig trees & descend to the ground. It is these roots the tree uses to stabilize itself, as it grows larger. If you put peat-filled pipes from the root stumps along the branches, the tree will rapidly grow new roots down through the pipe & into the ground. Isn’t nature clever? I guess, in time, you could cut open & remove the pipe if it was made from PVC. The Laman Street Fig trees also provide a strong sense of presence to such central & important buildings such as the Art Gallery & others located here. Importantly, the trees provide a popular place to get married & have wedding photos taken. Later, their children can still see, touch & play where Mum & Dad were on their wedding day. I know this is a strong emotion for many people because of the feedback I have received about the St Stephen’s Hill’s Fig in Newtown. 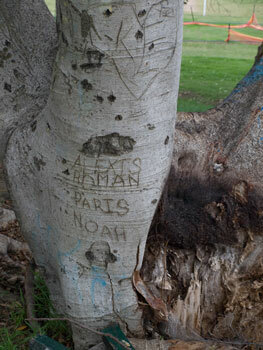 Those who had their wedding photo taken under this tree love it in a special & strong way. The tree or trees gets incorporated into the story of the relationship/marriage. This is not surprising because human beings have always associated trees with strength, longevity & wisdom & this is easily transferred over to hopes surrounding a marriage. I must say that, like only a few people outside the LGA know how beautiful our Cooks River really is, not many people know how beautiful Newcastle is. I wanted to pack up & move to Cooks Hill immediately. The beaches are stunning & wild, the streets are clean, the traffic is not like traffic, droves of people were out in the sunshine, the cafés were full to bursting & the trees, well I could go on about them for hours. 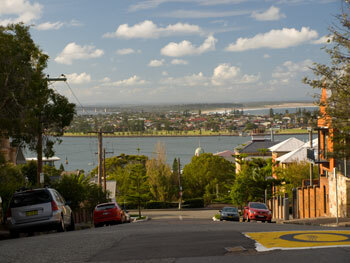 Newcastle is a naturally beautiful place because of the hills, the river & the beaches. But without all those large & spectacular trees in parks & on roadsides it wouldn’t be as beautiful. 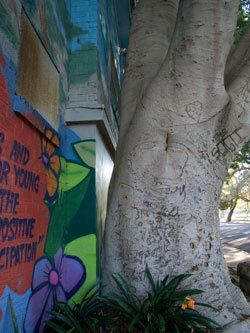 Newcastle could be called the City of Fig Trees because they have so many gorgeous Fig trees scattered about. In my opinion, these trees make this city special. Please pay a visit to Save Our Figs. 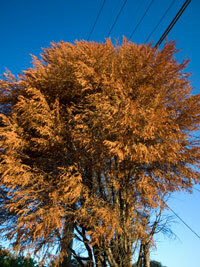 There is an online petition open to anyone who cares about these trees. http://www.gopetition.com/petitions/laman-street-figs.html 2,500 Newcastle residents have already signed both a paper petition & the online petition & that is 2% of the Newcastle community. Like Saving Our Trees, there has been no advertising. It has been all word of mouth, which I think makes it stronger as a community campaign. There are no bells & whistles to draw people in, just a love for trees & a wish that trees be saved from the chain-saw. Does anyone know what has happened to the 2 or 3 Hills Figs on the new IKEA site Princes Highway Tempe? Last time I drove past, the Hills Figs were gone & the Morton Bay Fig was standing alone with all the ground surrounding the edge of its canopy excavated. Marrickville Heritage Society told me IKEA said they would be relocating this tree, but they don’t know what has happened with the other trees. These trees are not ordinary. As far as I know they are in the small group of the oldest remaining trees in Marrickville LGA. I hope the others are okay. I will write to Marrickville Council to see if they are aware of what is/has happened to these trees & what the plans for them are. Top: Heritage Morton Bay Fig with Hills Figs in the background. The photo doesn't show, but all these trees are massive in size & height. 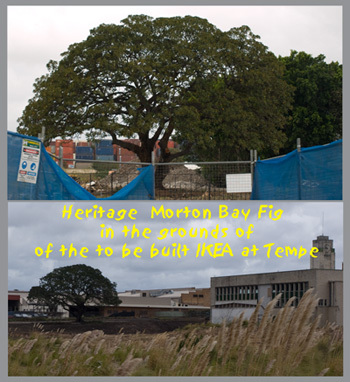 Bottom: view of the lone Morton Bay Fig from the Salvation Army Depot Tempe. The Hills Figs have gone. Does anyone know where? 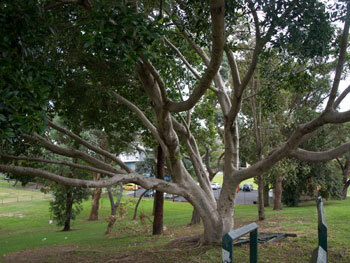 Apart from the 3 trees in Ivanhoe Street, there is also a Fig tree up for removal in Steele Park Marrickville South. I received the following information about this tree. Unfortunately, this tree should be removed as it will become dangerous. Thankfully, it will be replaced with a Moreton Bay Fig. Thanks to Marrickville Council for the following information. The removal of the tree is necessary as there has been a failure of one of multiple trunks attached at ground level. All of these trunks have major inclusions associated with a large amount of end-weight producing a significant lever-arm stress. This was the cause of failure of the subject trunk. Additionally the failure exposed a large amount of root crown decay at & below ground level. The present structural defects associated with the root crown decay & the exposure to further decay by way of the large wound make the retention of the tree unmanageable. The tree is close enough to no. 16 Thornley St for it to present an unacceptable risk of failure & property damage at some point in the future. 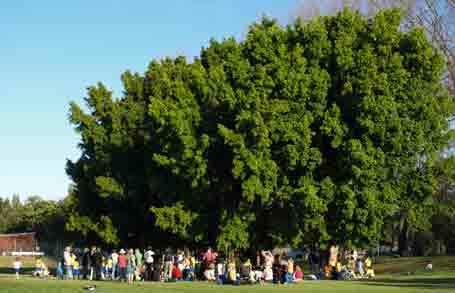 It is proposed to be replaced with a Moreton Bay Fig of size 100L or greater. The post contains a hyperlink directly to council’s web-site where you can write your submission. I ask that you put in a submission even if the trees are not located near you. 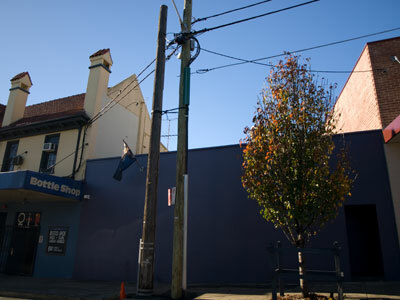 All tree removal has an impact on the green canopy of Marrickville LGA. 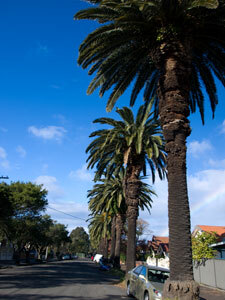 This month it’s Marrickville South, next month it may be Camperdown, Newtown or Dulwich Hill. 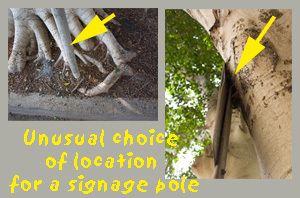 Just last month, Marrickville Council put up their Tree Strategy Issues Paper for the Councillors to vote on. Had they voted to pass the paper, we would now be losing 1,000 mature trees a year for the next 5 years. A pie chart in the document showed Council wants to remove 59% of the public trees across Marrickville LGA. I was shocked when I read this. The Tree Strategy Issues Paper is to return to the Councillors for voting 5 or so months from now. If Council thought it was reasonable to recommend the removal of 59% of its trees, I would think it is likely they will continue to push for a great percentage to be removed. If this is indeed what happens, the community will be required to put in many submissions if we want a chance of retaining these trees. It would be great if we supported each street, each area when each comes under threat, even if we don’t live there, because the lumberjacks will be in your area & perhaps your street eventually. This is one issue where the community could seriously help & benefit each other without much time & effort. A submission need not be a large document. It can be a few lines, a paragraph or more & you can write whatever you want. I have noticed that submissions received from the community are taken seriously both by Council staff & the Councillors. If just 1% of the LGA sent in a submission, not only would we probably set a record for mail submissions, we would also probably rewrite the agenda when it comes to greening the LGA. If we do nothing, then we are going to be living in an area where 59% of our trees will be gone, which will affect us in many ways (see the pages 100 Tree Facts & About Street Trees on this site for more information about this). Another serious effect of denuding the LAG of mature trees is our urban wildlife who will be drastically affected. Much of the current trees do not provide food or shelter for them. I doubt they could withstand the removal of so many trees. Imagine no birds, except maybe the resiliant Indian Mynas. Imagine no possums. I don’t know if this type of offence has always made news, but it seems to me that tree vandalism is making the news globally at the moment. I think this is terrific. When I was growing up people did dreadful things to trees & there was no-one to call them to account for it. The attitude was ‘man conquers trees’ & we have huge loss of forests world-wide & a massive reduction in the percentage of urban trees to show for it. Times have changed & it seems the community is insisting that offences against trees be punished. This type of attitudinal shift will only benefit us in the long-term & perhaps over the next 30 years we can leave the world in a much better state than it is currently. The Cooks River Valley Times this week had the intended massive expansion (more than double) of Marrickville Metro shopping centre on their front page. If AMP do get approval to expand Marrickville Metro, we will lose another lot of healthy, mature & old Hills Figs. There are more than 20 which surround the shopping complex. Apart from the food & shelter these trees give to local wildlife, they serve a very important role in disguising the visually unpleasant complex, which is basically a cement box with entrances & ramps leading to car parking. Okay, this is what malls generally look like, but the Figs are way too precious to be chopped down to significantly enlarge a centre where shop-keepers have told me during general chit-chat over last 2-3 years that they are struggling to survive. There are also a number of tall Eucalypts with trunks around 2-3 metres which may also have to go if the building expands outwards & not upwards. This DA is going to have a big impact for the community if it goes ahead. I seem to remember Marrickville Council’s Draft LEP mentioning something about new units planned to house thousands of people within 800 metres from Metro. Oh boy. More high-rise. Integral Energy have “chastised some of its contactors for overzealous pruning of street trees” after the street trees in Christine Street Northmead were ruined. Intergal Energy admitted their contactor “got it wrong.” In the article written in the Cumberland Courier the energy company talks about their tree pruning practices & training. I have been following with great interest developments around the world concerning climate change & the value of trees. Every climate change expert has been seriously & loudly advocating that we immediately stop large-scale logging in forests. They are also advising that we embark on mass reforestation world-wide, citing this as the most effective means of soaking up the dangerous levels of CO2 in the earth’s atmosphere & preventing run-away climate change. Of course there are other interventions, such as stopping the use of coal for power, but trees are universally recognised as an essential component in the management of climate change & the prevention of species extinction, including human beings. There is a also a increasing push for rich countries to pay for the preservation of old growth forests which are currently being logged or burnt at alarming rates. The Amazon Rain Forest, long regarded as the ‘lungs of the world,’ is one forest the existence of which is deemed essential to preserving life on this planet because it removes billions of tons of CO2 from the atmosphere & stores it as carbon. There is also a plethora of information coming out about the value of trees in the urban setting. Again, the experts say that we must plant more trees in our cities & that we should be doing it now. The climate change experts say we need to plant substantial trees with large trunks & substantial canopies, as these tree species are the most effective at sequestering & storing CO2. Small stature trees with thin trunks & branches are not nearly as effective in CO2 sequestration as large trunk trees & should be used when there are no other options. However, you just need to visit a intensely built suburb like Balmain or Paddington to realise that large trees can survive well in small spaces & the buildings do not fall down as a result of large trees planted near them. My reading has shown there is a marked difference in attitude regarding trees between Australia & most of the world with the difference most noticeable with America. 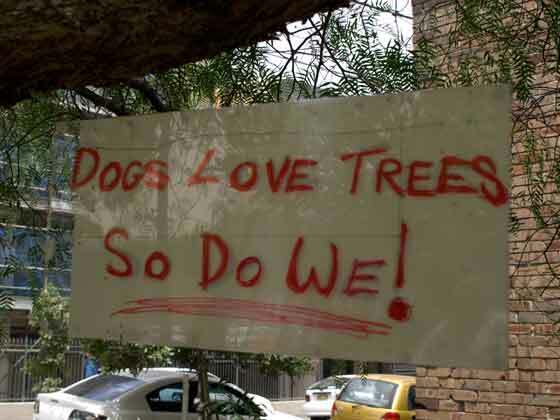 Americans love their trees & it is quite common for a local community to come together to protest the removal of any tree within the urban landscape. 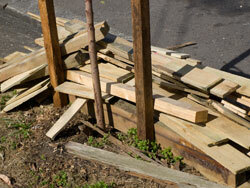 Tree removal & pruning is reported widely in American news. Read any article about trees in the local news throughout America & you will find many comments left by readers, sometimes into the hundreds. The community is highly engaged when it comes to trees & not just concerning street & park trees. Americans with no particular affiliations & of all ages routinely protest the proposed pruning of trees in back roads, the removal of a lone 100 year old tree sitting next to a railway line, the removal of street trees because of pavement movement or development & even the lowering of the green canopy by new home owners who remove trees on their property. In New York state a number of counties have invoked Ordinances which prevent developers from clear-cutting lots for housing, a practice which is done routinely in Australia. Counties are also preventing people who have newly bought into the area from cutting down trees on their property stating that this action changes the character of the town. They say it is unacceptable for people buy into an area because it looks good, then proceed to make the area look bad by cutting down the trees on their property & even asking that the street trees be removed as well. In one County in New York both the community & the Governing bodies because upset when they realised the green canopy had decreased. Now there are strict town codes preventing the removal of trees & hefty fines for those who chop first & ask questions later. The County knows who have chopped down trees on their property not only because of reporting from neighbours, but also, because they have done a tree inventory & this is monitored on a regular basis. Significant proof is required if residents accuse trees of causing damage. All trees cut down on private property have to be immediately replaced. There are also strict requirements about the species of tree that is required to be planted in the place of a tree that has been removed. A property owner cannot cut down a large tree & replace it with a small growing tree unless they have accepted proof as to why this is necessary & they certainly cannot elect to not plant a replacement tree without good reason. I highly doubt they allow pruning of street trees done by residents to ensure a tree doesn’t grow, a practice that is reasonably common in the streets of Marrickville LGA. The community is educated about the benefits of trees from school upwards. There may be significant debate & denial about anthropogenic climate change in America, but most people know that trees collect storm runoff, prevent soil erosion, remove pollutants from the air & raise property values. Neither the community nor the Governing bodies are willing to allow what they openly term ‘tree haters’ to remove trees without good reason. They believe that trees belong to the community & should be protected by the community. They also strongly believe that trees are vital to the community’s well being. We often follow America in our likes & customs. I am hoping that a general love, knowledge & appreciation of trees become the norm in our society. If the climate change scientists are correct, we don’t have too long because we need trees now more than we ever have in the known history of mankind & trees take decades to grow to the size needed to be effective in removing & storing CO2 from our atmosphere. We need to start now.